Leadership, community development, giving... all actions that teenagers can thrive in. 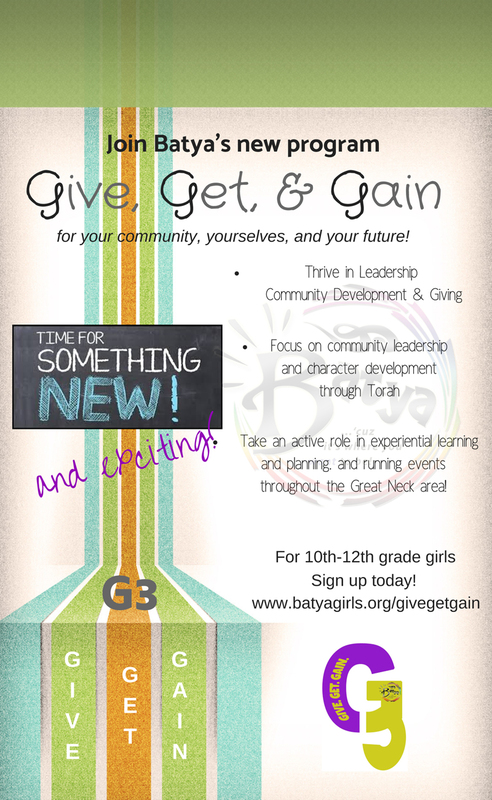 Join Batya for our new G3 program where you will Give, Get, and Gain - for your community, yourselves and your future! Each month will focus on a different aspect of community leadership and character development through Torah, with all members taking an active role in learning, planning, and running events throughout the Great Neck area! Full participation in the weekly sessions and running community events will earn you a certificate of leadership and community development at the end of the program. 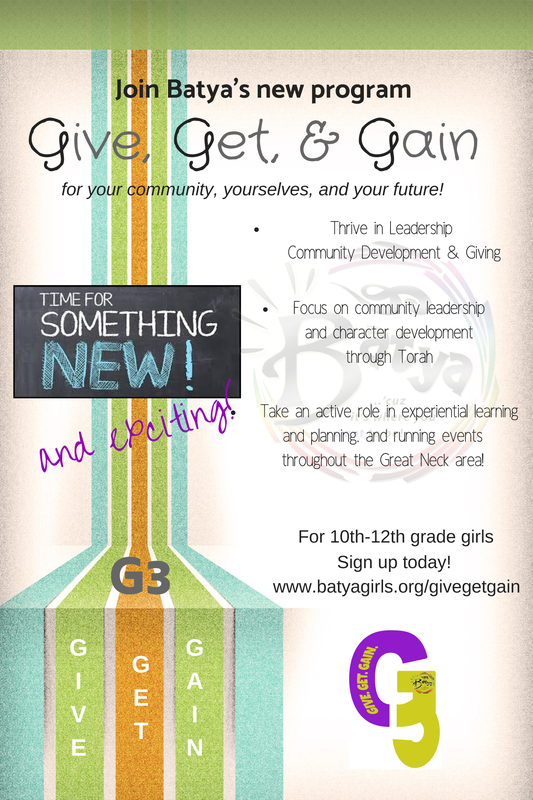 Good for your resumes and excellent for those around us:) Join as you Give, Get, and Gain at Batya G3. Empowering the future of Jewish women with a strong supportive network, transformative learning experiences, and actualization of inner strengths and skills.